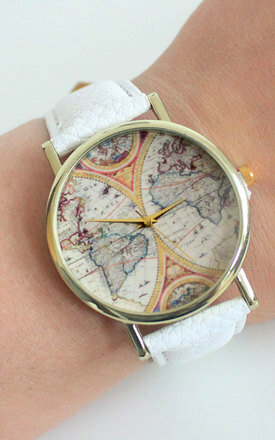 Our new Vintage Style Globe Watch is perfect for both Autumn and Winter months. This amazing Watch has a striking vintage style globe design inside a gold frame with a thick white textured faux leather strap. 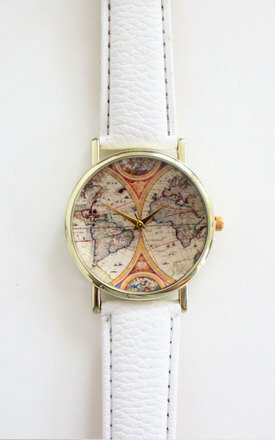 Truly unique and great if your a lover of Vintage or travelling around the world!